The best way to describe these three books by Steven D. Ayres is “localized narrative history”. They aren’t fiction, but the first one, Fallow Are the Fields, is written in the voice of the author’s Civil War era ancestor and includes dialogue that pegs it as a story. The second, We Danced Until Dawn, is somewhat the same, but without dialogue it veers into an oral history without footnotes or citations. 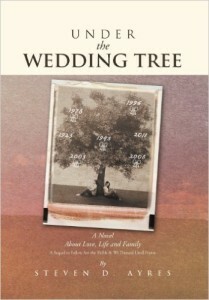 Under the Wedding Tree would be categorized as a memoir, as it is about the author himself. 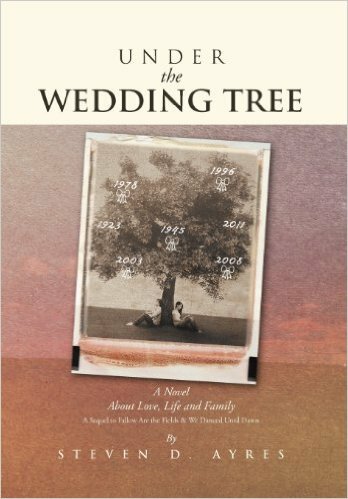 All of the books include drawings by the author, but there are considerably more in Under the Wedding Tree, as well as other family and genealogical documents in the back. In closing, the author has intimated more books are to come. If the reader is not familiar with northwest, Georgia–particularly the Douglas/Cobb/Paulding area–these books may not be quite as interesting as they are to me. Many places mentioned, and the history related, I have visited on a regular basis. 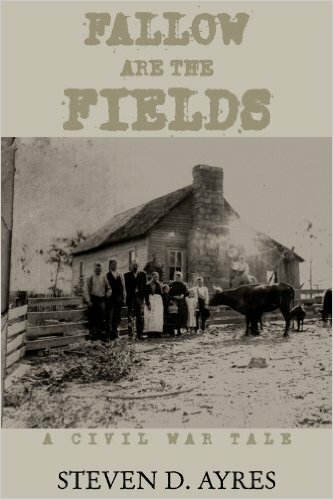 I think locals are the intended audience, however, those interested in Civil War reads will enjoy Fallow Are the Fields, as it follows the entire war through the eyes of a Southern soldier. The following two books are great for Georgia history and biography/memoir readers. This is the story of the Jett family from Salt Springs (now Lithia Springs), Georgia on the cusp of the American Civil War. With five sons ages 15 and up, it was certain that they’d enlist and become scattered among the Confederate Army. Their small farm, a beacon of safety and security, felt like a distant memory to Steve Jett, who narrates the story from the viewpoint of a youngest son and one of the last to see action on the battlefield. As Steve and his brothers move from one fight to another, with little reprieve in between, the timeline of the Civil War is relayed as they experienced it. 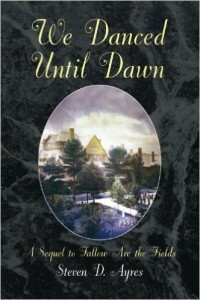 This portrayal is especially interesting to local readers, as it is a first hand account of an area no longer recognizable in its pre-war glory, since most buildings and structures were burned to the ground after Georgia was invaded by the North. This story begins during the Reconstruction Era in northwest Georgia. It continues with the Jett family picking up the pieces of their lives after the devastation of the Civil War. Our narrator from Fallow Are the Fields, Steve Jett, lived through the turn-of-the-century, World War I, the stock market crash of 1929, and well into the The Great Depression of the 1930’s. Continued with the next generation, the names are a little more complicated to sort through and the setting spreads into Mableton before returning to the original farm in Salt Springs (Lithia Springs). This particular book would benefit from a family tree in which to reference. It is a slimmer volume than the other two, and covers a good deal of time, places and people. This book is full of details of a busy and enterprising young man. There is much local history, but also a description of the litany of educational and business ventures of the author, as well as an account of the small towns growing up around him. This was particularly interesting to me, because having lived in the area I could witness events through another’s eyes. For example, the building of the Arbor Place Mall, the “100 Years” flood of 2009 (our Austell home was completely destroyed), and mention of the Cave Springs School for the Deaf, which I have visited many times (mostly to fish in their pond). There was even a mention of my hometown of Cedartown. I also caught the author’s few lines in which he mourned the loss of Borders Bookstore, where I worked from 2001 – 2008. The author writes in a free style, changing up from narrative in the first book and ultimately ending as autobiographical. You could say there is room for editing and rearranging, but because of its unique style, it works as a local history account. The voice is authentic to the subject matter. The most wonderful aspect of this endeavor is that the author has preserved a minute account of the family’s history for generations to come–and as one gets older, the need for these ties gets stronger, as researching my own family history has proven for me. 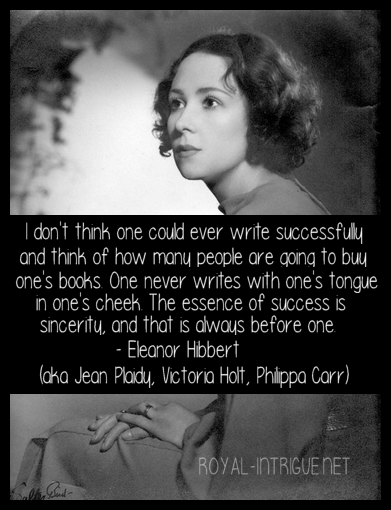 In that respect, although not perfect literary pieces, these volumes have great value and meaning.